What a turnaround. Who would have thought that England five months ago – after being unceremoniously dumped out of the World Cup at the hands of Rubel Hossain and Bangladesh – would be heading into the final Ashes test of the summer with an unbeaten series record against New Zealand and the precious urn already on its way back to Lords. I’ll be honest, not me! Thankfully this was an assumption held by the majority of the English and Australian public, so whilst most of us deserve a hearty slap on the wrist for our pessimism, this summer’s events only serve to highlight the wonderful unpredictability of sport. But how did it happen? How did England turn the tables on the shambolic 5-0 whitewash down under only last year? It’s been a few months since my last post in what has been a whirlwind summer. In amongst the busy cricket schedule, rest days have provided a rare opportunity to catch up with some of my favourite TV shows – Paul Scheuring’s Prison Break among them. It was during Season 1 when structural engineering genius Michael Scofield – attempting to plan and execute his escape from Fox River penitentiary – receives a shrewd piece of advice from one of his established inmates: “Darwin wins inside these walls, not Einstein.” It was this statement that got me thinking, not just from a fictional prisoner’s point of view, but from an Ashes 2015 and coaching perspective. Although debates of nature and science continue to surround the theories proposed by Darwin and Einstein, there has never been doubt about what they both represent. Einstein was renowned for his superior intelligence, Darwin for his evolutionary approach. With Australia coming to England having played some of their best cricket since the notable departures of Ponting and Hussey, it would be fair to suggest they are the ‘Einstein’ in cricketing terms between the two sides. England on the other hand, a young side very much finding their way again after a dismal year would assume the Darwin perspective. Clearly Prison Break convict Benjamin Miles knows the advice he is offering as Darwin/England do indeed triumph over Einstein/Australia’s intellect; so now we explore a few key lessons that England appear to have learned in the battle for survival of the fittest. Boot camps are not a new phenomenon or method of preparation prior to an Ashes series. Intended to push players to their physical and mental limits in an attempt to cultivate team spirit, England in particular have experienced mixed success in recent times. Although the famous boot camp of 2010 contributed to team spirit in the series win down under, cracked ribs, bruised hands, dehydration and exhaustion is hardly ideal preparation. Clearly a similar expedition did not reap the rewards last year! 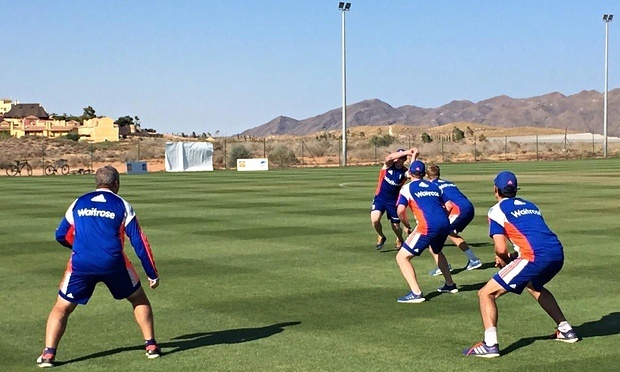 So what was Trevor Bayliss’ idea of Ashes preparation? That’s right. A long weekend in sunny Spain! Yes it was intense but intense with a cricket specific focus – most notably catching. England’s catching in this series has been merciless at times, heaping pressure on the Australian batsmen all series. What about team bonding in Spain? Instead of players orienteering through deserts in searing heat, they enjoyed some time on the beach, the golf course and most importantly each other’s company. It seems that evolutionary England (perhaps more specifically Andrew Strauss as new Managing Director) have finally learned how best to prepare for success. Darwin’s theory of evolution and natural selection essentially states that “individuals with characteristics most suited to the environment are more likely to survive and reproduce”. As a high performing sportsperson, part of success revolves around adapting and playing to different environments. 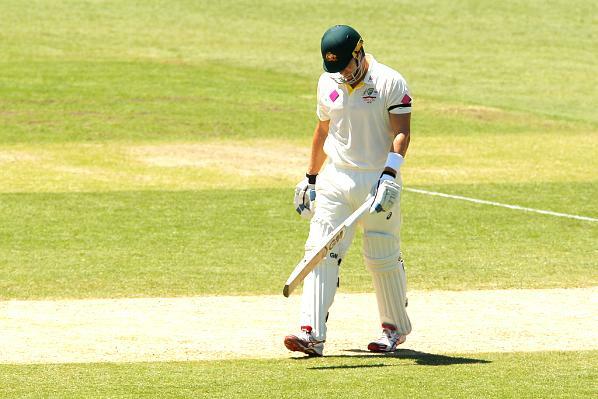 It would be fair to assert that few of the Australian batsmen ‘survived’ during this series. Indeed only Chris Rogers looked at home in English conditions, with Steve Smith averaging a mere 21 if you discount his first innings performance at Lords. Indeed it was only Rogers and Adam Voges of the Australians have spent substantial periods in English conditions previously and this was all too apparent. As good at England’s catching was, the slip cordon was always kept busy with the Aussies failing to negate the full swinging ball, falling in similar circumstances on numerous occasions. Not only did Australia fail to adapt to the conditions, but their lack of technical improvement was clear to see. Yet again Shane Watson was found guilty of playing with his front pad; yet again Michael Clarke was susceptible to the short ball. Even if you are a quality performer or an Einstein of the profession, you can guarantee your opponents or competitors will hunt out your primary weakness first. It is the natural step for the attacker in the survival of the fittest. It is surprising therefore that Australia did not subject England to more of the short pitched fast bowling that worked so successfully last year. Albeit the English pitches (Cardiff in particular) are not as conducive in terms of pace, but one hostile spell from Mitchell Johnson at Lords brought about a victory, and two fast short balls accounted for Bairstow and Stokes in the same over at Edgbaston. England on the other hand showed evidence of an evolving side; the bowlers ruthlessly executing their plans well by consistently pitching the ball up; Cook and Root in particular demonstrating how to negotiate the new ball. Ironically, they displayed traits that the Australians have notoriously been renowned for in the days of Warne and McGrath; aggressive batting even under when under pressure, outstanding fielding and proactive captaincy ultimately forcing the opposition into a number of changes in personnel in a quest for the right formula. What can we as coaches take away from this? When your players cross that line onto the pitch, do you feel nervous about the outcome? What about when a high catch goes up or when the game plan goes out of the window and players have to rely on instinct? The answer should be ‘no’, because you should be safe in the knowledge that your players have done everything possible to be prepared. Of course, mistakes happen and it is unrealistic to prepare for every eventuality, but leaving no stone upturned in your preparation means that your team are the best. Am I saying therefore that Australia weren’t prepared? No not exactly….England were just more prepared. Better prepared. As we all know in sport the best teams, the best players do not always triumph in sport. Talent, ability, technique or skill alone is not enough. Can you adapt to your surroundings? Can you be clever enough to deploy certain skills, certain temperaments under the highest conditions of pressure? If you as coach can prepare your players to cope with the demands of the ever-changing environment you’re onto a winner. They will live on in the survival of the fittest…..for Darwin wins every time.